The world is taking notice and realizing that the fastest-growing segment in Christianity has an undeniable history with a pattern and a rich, deep foundation dating back to the New Testament. 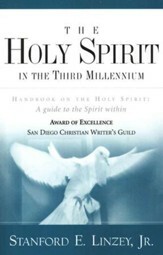 Explore overwhelming evidence that reveals how the gifts of the Holy Spirit not only have existed in the centuries since the early apostles, but have also survived the Middle Ages, the politicized church of Europe, and have experienced a spectacular revival this century. Learn invaluable lessons from the experiences of courageous men and women who sought God and saw His power in their generation. 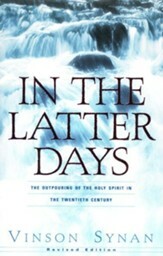 The reader of this volume will gain a greater appreciation for the work of the Holy Spirit in history and will experience a sharpened sense to discern what God is doing in the church today. Eddie Hyatt is the cofounder and president of Hyatt International Ministries, which includes Hyatt Press, The International Christian Women's History Project and The American Center for Revival & Reformation. Eddie holds a doctorate of ministry from Regent University and a master of divinity and master of arts from Oral Roberts University. Eddie and his wife, Dr. Susan Hyatt, reside in Dallas/Fort Worth where they carry out their ministry of preaching, teaching and writing. 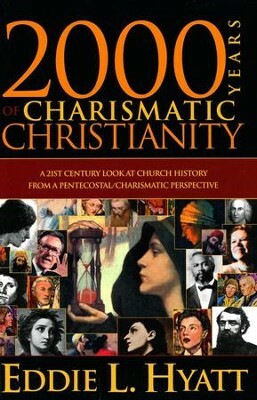 I'm the author/artist and I want to review 2000 Years of Charismatic Christianity.